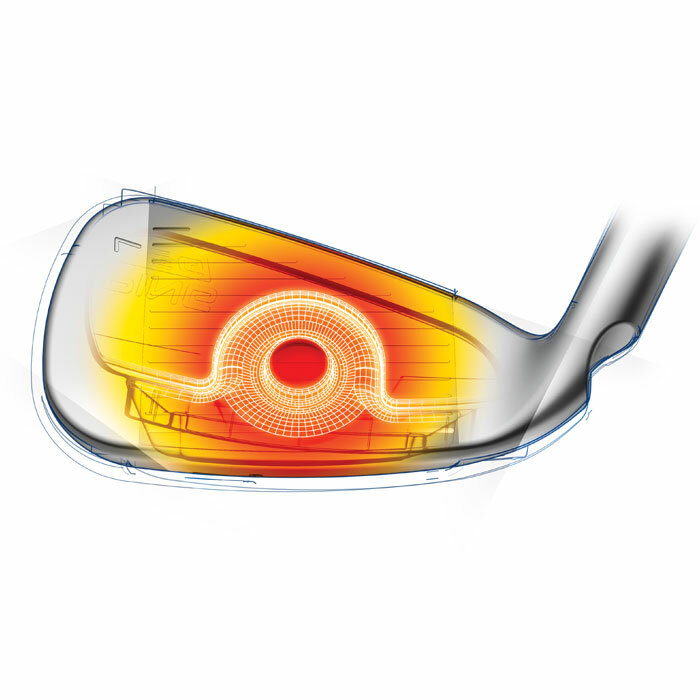 Revolutionary COR-Eye Technology provides four times the face flexing for consistently faster ball speeds across the face. A gain in ball speed and shot height generates more carry distance and a steeper landing angle. 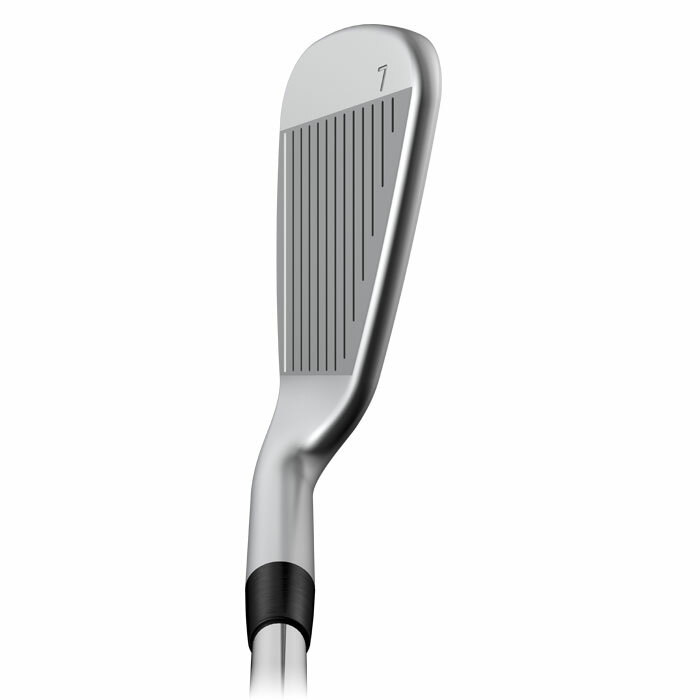 Hyper 17-4 stainless steel allows for thinner, faster faces and added distance. This unique structure involves the entire face in flexing for consistently faster speeds. The increase in speed and shot height generates distance and a steep landing angle so shots hold the green. 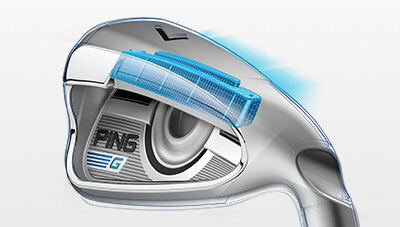 Connecting the Custom Tuning Port to the sole creates a deeper CG that helps elevate the launch angle while increasing MOI for greater forgiveness and accuracy. An enlarged multi-material damping badge joined to the cavity works with COR-Eye Technology to provide exceptional sound and feel. 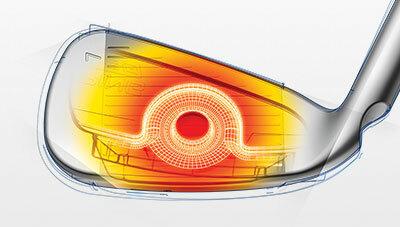 Weight saved from the face was allocated to the low toe and perimeter, creating a high MOI for extreme forgiveness. 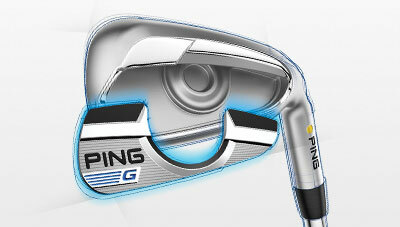 PING’s Ascending Weight Technology shafts get heavier from long irons to short irons/wedges. Lighter long-iron shafts help square the clubface. Short iron/wedge shafts are heavier to improve trajectory control and feel. Lie angle is based on Black Color Code at standard length. Power Spec Loft is a fitting option for players looking to boost their iron distance or decrease spin to hit a desired trajectory window. The Power Spec is a custom-designed loft configuration that delivers a power boost in a calculated fashion without sacrificing the integrity of the club’s design. Club bounce angles will vary slightly if ordered with non-standard loft specs. Standard swingweights for graphite-shafted clubs are 1 to 2 points lighter than shown, depending on shaft flex. 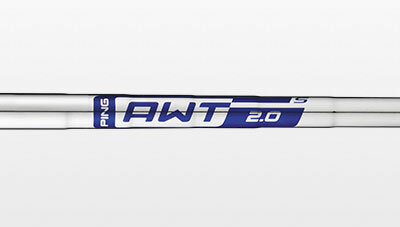 Achievable swingweights depend on shaft and grip combinations. 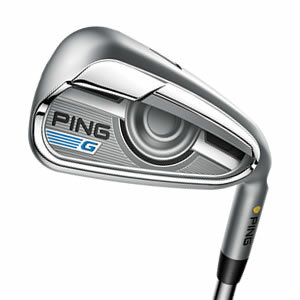 PING offers a variety of shaft flexes in steel and graphite to meet your needs and preferences. Selecting the proper shaft flex for your swing will help you get the most distance and accuracy from every shot. Generally, players with faster swing speeds require stiffer shafts to keep the ball trajectory lower, while players with slower swing speeds will require more-flexible shafts to produce a higher ball trajectory. The choice of steel or graphite shafts is usually based on preferences for weight and/or feel. Players seeking a lighter overall weight and/or a softer feel in their irons may prefer graphite shafts, while players who prefer a standard-weight club with a firmer feel may prefer steel shafts. The 5L grip features a firmer texture in the upper portion to help control direction and a softer texture in the lower portion for enhanced feel. It is available in two versions - round for clubs with PING's Trajectory Tuning+ Technology, and ribbed for the hybrids and irons. The 5L cord grip features a firmer texture in the upper portion to help control direction and a softer texture in the lower portion for enhanced feel. Cord construction provides an extra-secure grip in all conditions. 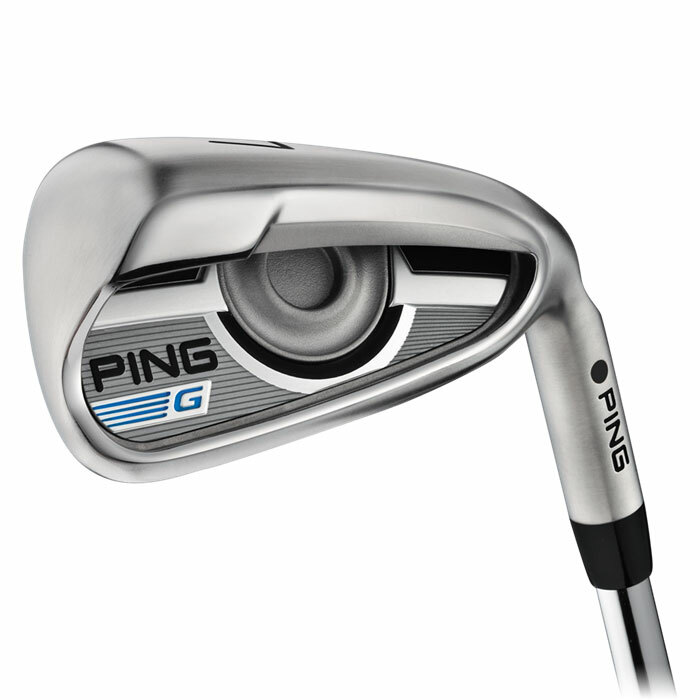 It is available in two versions - round for clubs with PING's Trajectory Tuning+ Technology, and ribbed for the hybrids and irons. 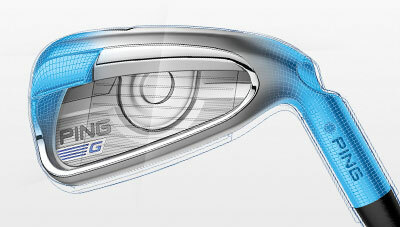 Maraging steel faces with CG optimization deliver more distance and forgiveness.